Norstedts is Sweden’s oldest publishing house, founded in 1823. The publishing programme comprises fiction, non-fiction, academic, maps, reference books and dictionaries. Norstedts is the general printer and distributor of the Lantmäteriet map series in Sweden. 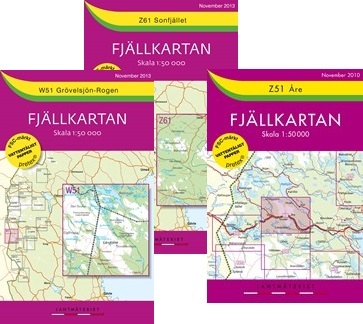 They also for example print the popular series Cykelkartan, road maps 1-6 and the Motormännen road atlas of Sweden which is annually updated. Quality maps designed to be used! 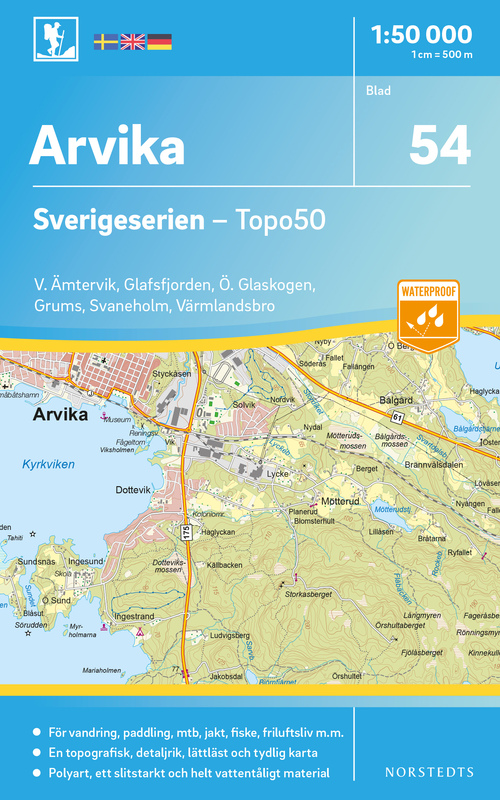 Sverigeserien is an outdoor map series consisting of 116 sheets with coverage of southern and central Sweden and the northern coastline. 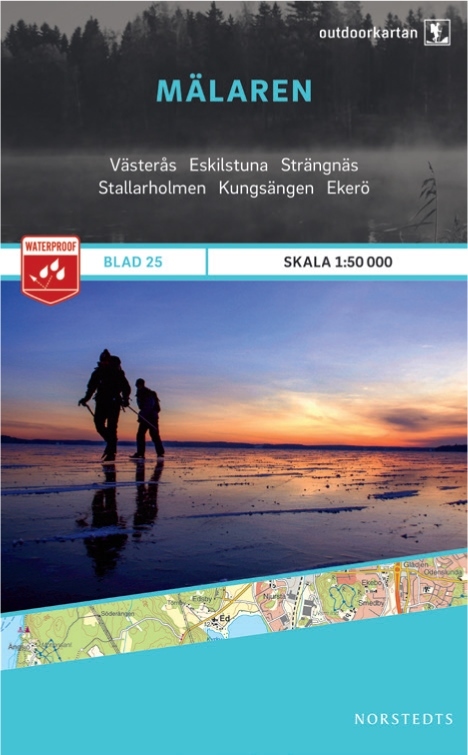 The map is suitable for outdoor activities such as hiking, excursions, trail running, hunting, fishing, riding, cycling, mountain biking, paddling, skating and much more. Every sheet covers an area of 45x68km. These topographical maps in scale 1:50 000 contain all the information needed for outdoor activities: Terrain information, hiking trails, illuminated tracks, camping, shelters, golf courses, leisure baths, historical remains, roads in different categories, railway lines and much more. 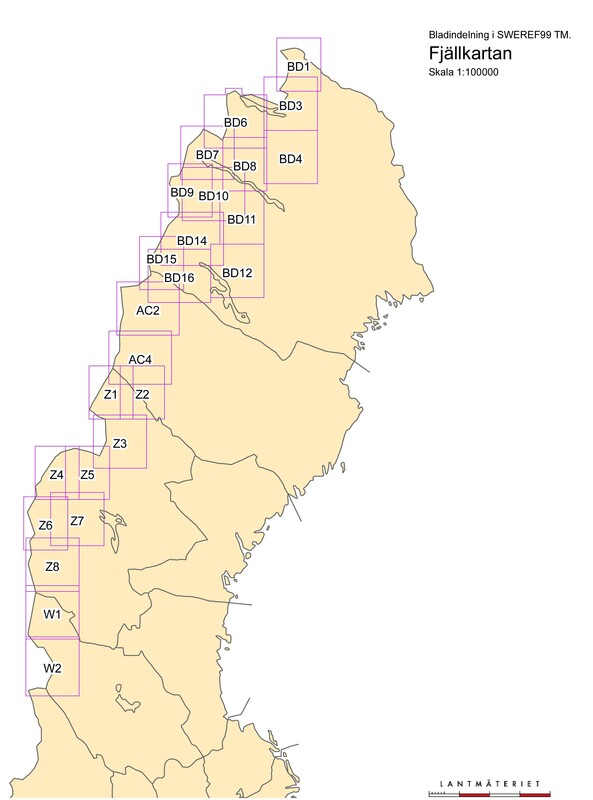 Easy to read topography with contour lines, vertical interval 5 m.
Sverigeserien is a high-quality map series and is durable for frequent use! 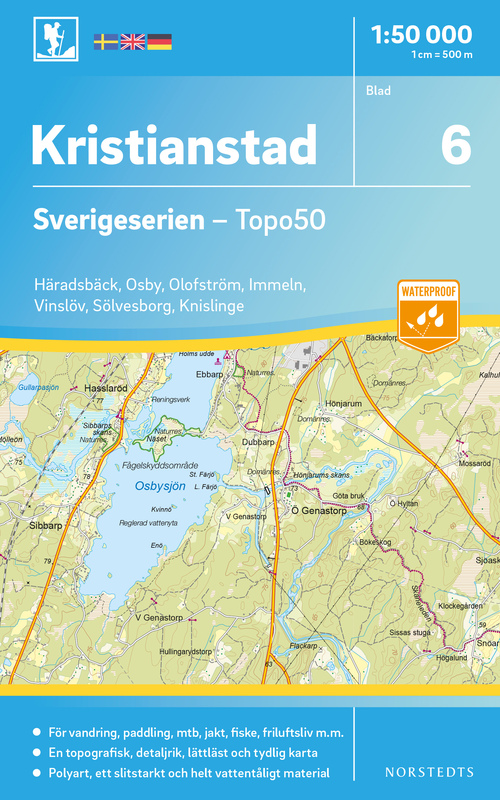 Updated content with map data from Lantmäteriet (National Land Survey of Sweden) and printed on Polyart which is water and tear resistant. 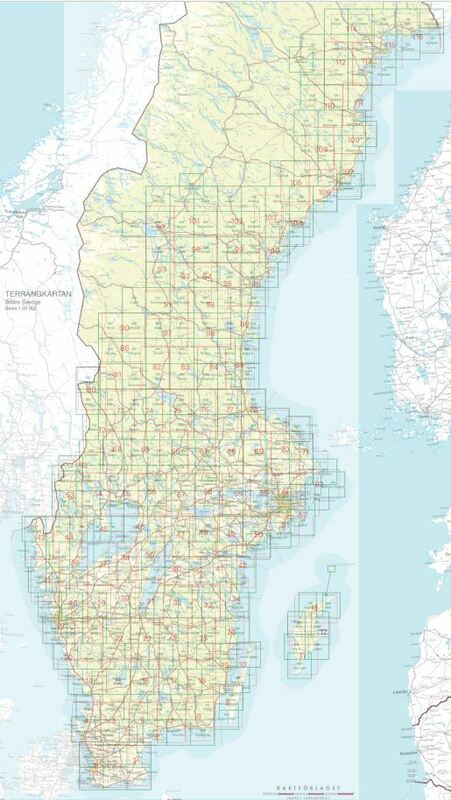 This means that the map can be folded repeatedly without breaking and can withstand the challenging weather in Sweden during both winter and summer. Legend is in Swedish, English and German. Click here for a detailed comparison of the new Topo 50 series and the old Terrangkartan. 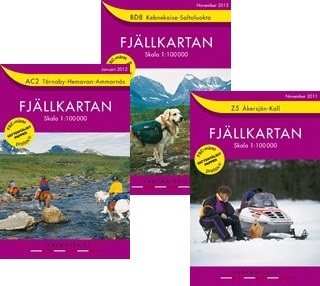 Fjällkartan in scale 1: 100 000 covers the entire mountain chain from Sälen in the south to the north boundary mark. Current and reliable information such as mountain trails, bridges, cabins, emergency phones and more. The topography is enhanced with terrain shading and contour lines are presented with a 20m interval. 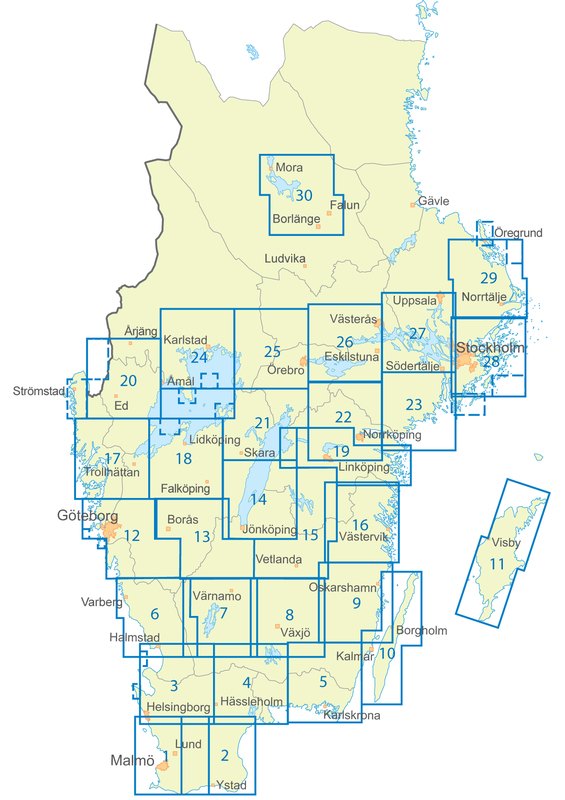 Place names are in some areas also recognized in Sami language. The series includes 25 sheets which are adapted to the trails and on the back there is additional information such as national parks, nature reserves, mountain safety, weather, nature conservation, GPS usage, suggested routes and much more. The maps are printed on a waterproof paper Pretex. Information on the back is in Swedish and the legend is in Swedish, English and German. Fjällkartan in scale 1:50 000 covers the southern part of the mountain chain, and can be described as a terrain map supplemented with mountain information. Current and reliable information with mountain trails, bridges, cabins, emergency phones and more. Contour lines are presented with a 10m interval. The series includes 16 sheets which are adapted to the trails. The maps also contain information about national parks, nature reserves, mountain safety, weather, nature conservation, GPS usage, suggested routes and much more. Information is in Swedish and the legend is in Swedish, English and German. 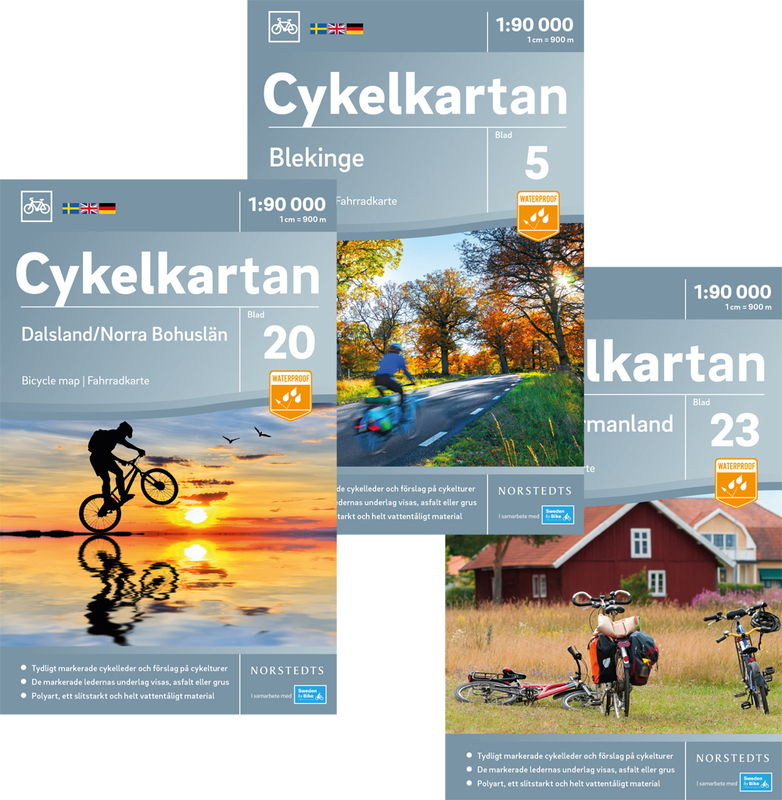 If you wish to discover Sweden on two wheels Cykelkartan is the map for you. 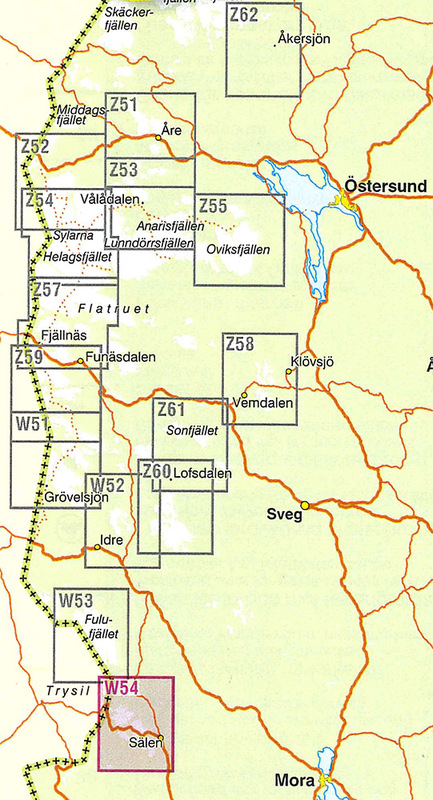 The series covers Götaland, large parts of Svealand and the area around Lake Siljan. The maps are detailed and contain suggestions for bike trails and also which surface they are - gravel or asphalt. The maps also contain information on attractions to visit and places to stay along the bike routes. They are very easy to handle and are printed on waterproof paper Pretex. Scale is 1:90 000 (except Gotland 1:100 000) and the legend is in Swedish, English and German. 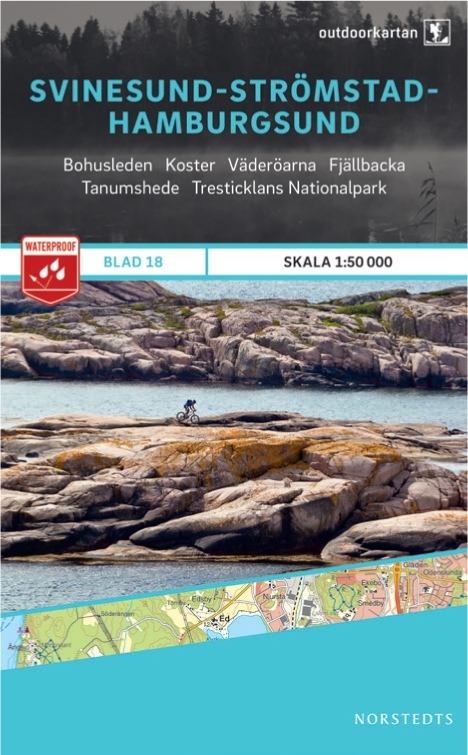 Outdoorkartan is a series of topographic outdoor maps on 28 map sheets with coverage in the mountainous area and popular recreation areas in southern Sweden. The content, clarity and durability of this new outdoor map series makes it ideal to take along on the tour. The Outdoor map series is printed on Polyart, a synthetic paper and provides clear and easy to read maps. They are completely waterproof and can withstand both winter and summer's sometimes challenging weather in Sweden. The maps are tear resistant and the soft material can stand many folds in all directions - it can easily be adapted to fit in your pocket or pouch. Detailed legend in Swedish, English and German. 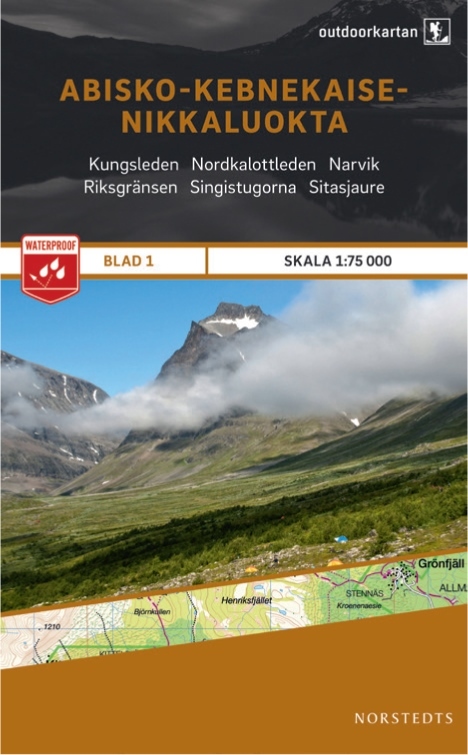 At scale 1:75 000, the maps cover the entire mountain chain, from Treriksröset in the north to Sälen in the south, as well as selected parts of the Norwegian mountains. The unique scale over the mountains makes the maps very easy to read for the mountain visitor. Specific mountain information is displayed, amongst them: marked summer and winter trails, itineraries suitable for snow scooters, bridges and fords, mountain lodges, cabins, emergency numbers etc. 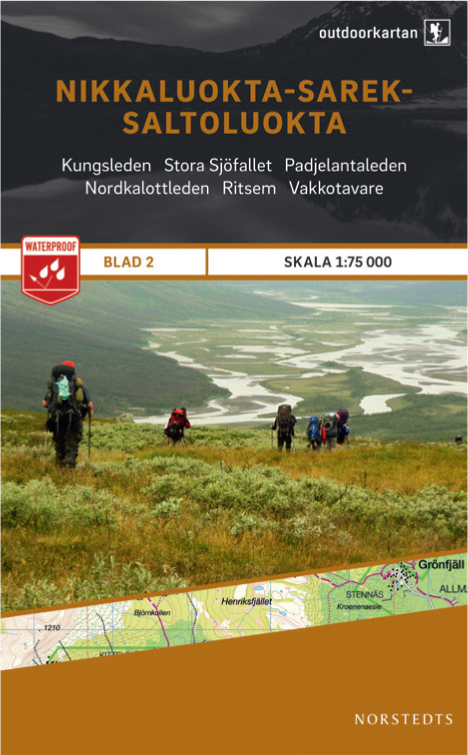 On sheets 1-6 is the Kungsleden trail specially marked as well as data on distance and approximate hiking time for different stages. 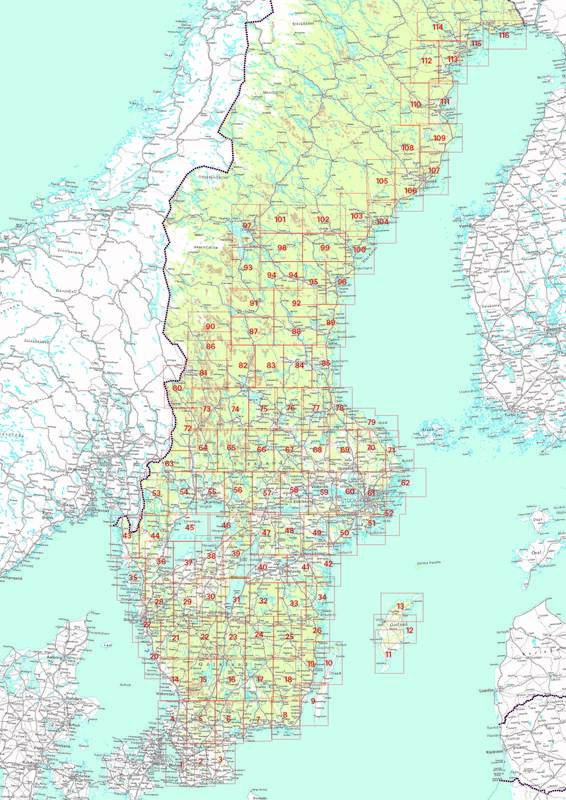 The outdoor maps of southern Sweden are detailed maps with trails, back roads, lakes, rivers, forests and soil types at scale 1:50 000. The covered areas are suitable for hiking, canoeing and skating but also fit for mushroom tours, riding tours, fishing trips, etc.